My mind has been all over the place this month—mostly good places, some not so good. With my mental energies concentrated on ideas that I need to keep to myself (at least for now), I was worried my safe-for-public-consumption What I Learned list would be somewhat anemic this month. Not so! When I opened up the Evernote folder where I keep a running record of what I’ve been learning, I discovered a whopping fifteen new things to share with you this month. From the silly to the practical to the completely mind-blowing—here it is! 1. You can boil corn on the cob. Our whole family loves corn on the cob, but I never knew how to prepare it myself, so we only ate it on the rare occasions when Luke was already grilling and could toss some on the barbecue for me. (Grilling is still a culinary skill I haven’t learned—I need to!) This month I made the amazing discovery that boiled corn tastes just as good as grilled! I’m sure there are other methods, but I simply bring a pot of water to a boil, toss in the husked corn, and pull it out after about five minutes. Slather with butter spray and some garlic salt, and we’ve got an easy side dish that all three of us enjoy. 2. There are “human libraries” where you can check out a person instead of a book. 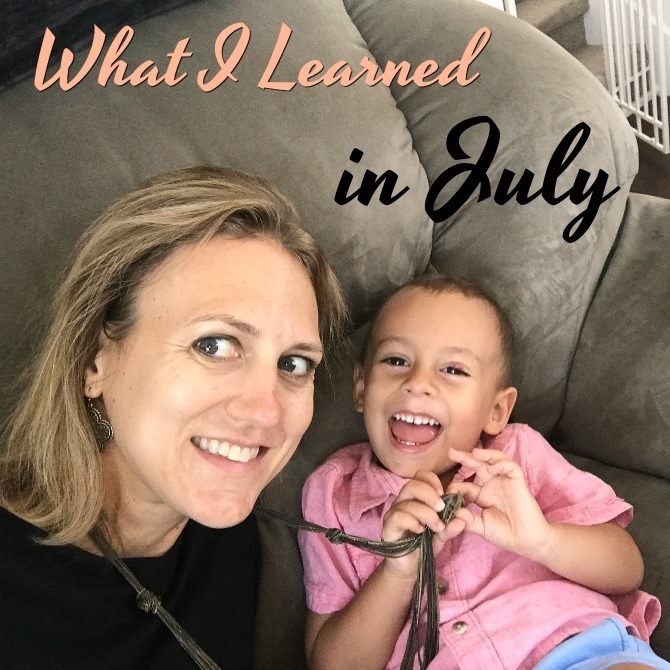 Anne included this on her list of what she learned in July, and I was definitely intrigued. Apparently these human libraries are popping up around the world and they work much like a book library, except instead of checking out a book, you check out a human topic and have a set amount of time to converse with them. Individuals who volunteer as human books make themselves open to discussing topics that are sometimes uncomfortable to address. Examples include people who are homeless, immigrants, transgender, or autistic. While the concept seemed strange to me at first, I love the goal of bringing together people who wouldn’t regularly interact. In a world where face-to-face interactions are growing scarce, it’s really a brilliant concept. 3. 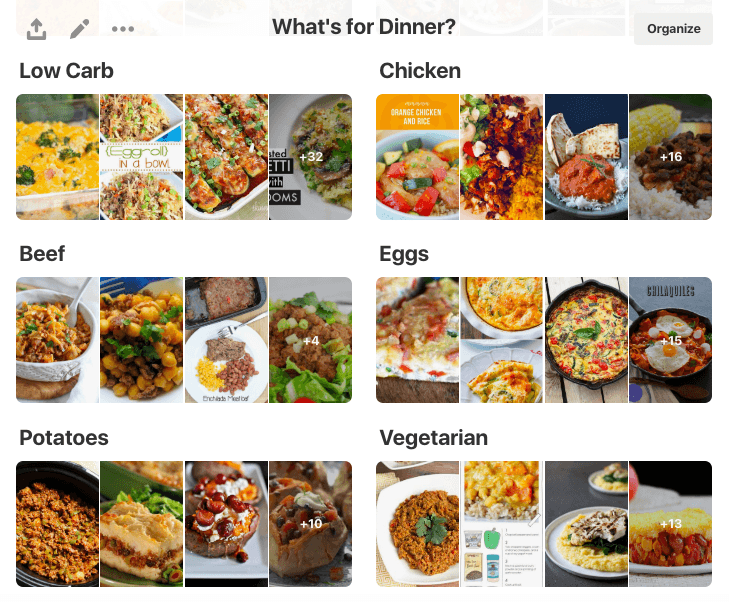 Pinterest Board Categories are a game-changer. I don’t spend as much time cruising Pinterest as I did a few years ago, but I do still use Pinterest for storing recipe ideas. Unfortunately, after so many years of pinning, the ideas were piling up and it was getting difficult to find what I needed. This month I went through all of my boards and rearranged pins into categories. Now, pins are exceedingly easier to find, and the process gave me a chance to rediscover some old favorite recipes and discard some links that are no longer available. In addition to organizing my recipe boards, I also sorted Holiday Ideas board by seasons and my Books of 2018 board by star ratings. I might also sort my Fashion Ideas board into categories, but I haven’t decided on a system yet (seasonal? occasion? color?) so I’m holding off on that one for now. I’ve seen these letters on street signs every day since we moved to Texas, but it had never occurred to me that they might stand for something until I heard an explanation in this audiobook. Apparently these roads once connected agricultural areas to market towns. The roads are primarily two-lane highways developed in 1949 as part of a system to improve access to rural areas. I don’t think I’ll ever fully get used to the fact that we live in an area surrounded by farm land, or that driving along miles and miles of back roads just to take my son to gymnastics class is a totally normal occurance! 5. 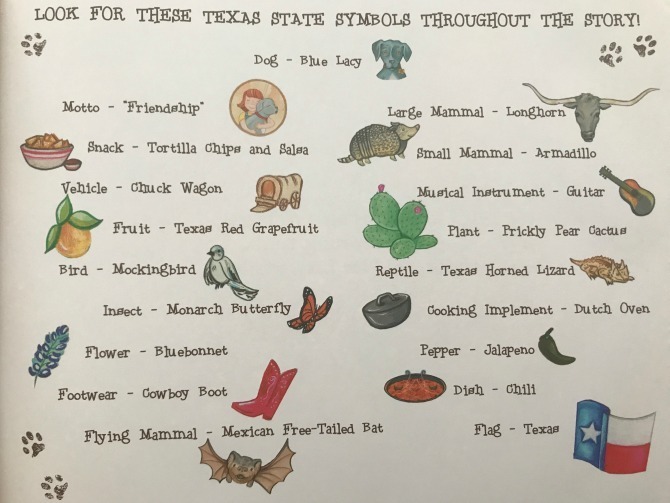 The state of Texas has a LOT of symbols. Charleston’s grandparents bought him this book, which was my introduction to all sorts of new knowledge about our adopted home state. Not sure how I survived over two years as a Texas resident without the crucial knowledge of Texas’ state vehicle. Also, I’m pretty sure most Austinites would take issue with the declaration that chips and salsa (and not chips and queso) is the official state snack. 6. Research shows that it takes married couples roughly ten years to settle into a rhythm. 7. According to scientists, adolescence now lasts from ages 10 to 24. Their reasons are fairly straightforward: adolescence is physically beginning earlier than it once did (the average age for a girl’s first menstruation has dropped by 4 years in the past 150 years), and social changes (delayed marriage, extended education, financial constraints that have created a slingshot generation of adults living with their parents) account for the prolonging of adolescence. I won’t deny this demographic change reflects current standards, but I don’t know that the shift in definition is in society’s best interest. 8. Always bring toys to the pool. 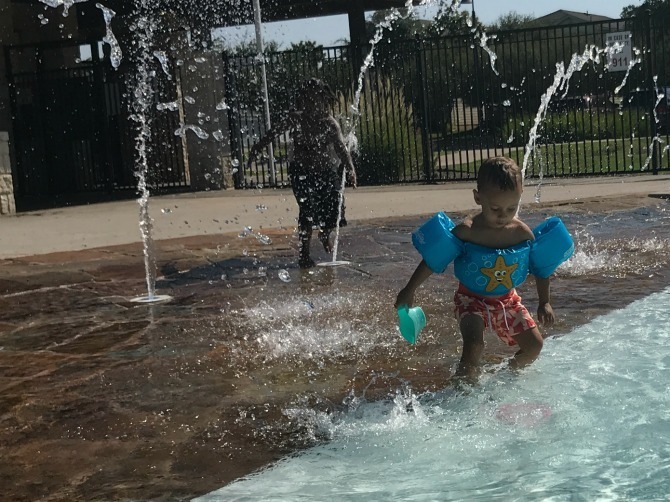 We learned this lesson the hard way, when Charleston had a meltdown at the pool because the other kids had toys that I told him not to play with. Now we bring at least one toy on every trip to the pool. It can be as simple as a plastic cup or a rubber ducky, and it will occupy him for an hour. He also loves that he has a toy to share with the other kids. Thankfully, he doesn’t get too upset when they don’t always take him up on the offer. 9. My picture book read-alouds are more entertaining than a Disney movie . . .
. . . in my son’s opinion, at least, and his is the only one I’m concerned about. For some context: all week long our whole family eagerly anticipates Friday Night Family Picnic & Movie night. Charleston gets to choose our weekly movie, and he spends the whole week deliberating over his choice. But on numerous occasions now, he’s asked us to stop the movie in favor of my reading books to him while he eats his picnic dinner. (Never mind that we already read books all day, every day, and movie night is a once-a-week treat.) Although I’d love to just veg out in front of the movie, I’m flattered by his requests and just love his attitude toward books and reading. 10. Chuck E. Cheese’s no longer has tokens. Last weekend I stepped foot in a Chuck E. Cheese’s for the first time in years. Not a lot had changed, though this particular store was much cleaner than the Chuck E. Cheese’s I remember from my youth. One noteworthy difference was the lack of coins; in their absence, kids now receive plastic cards (“Play Passes”) that are filled up with game credits. 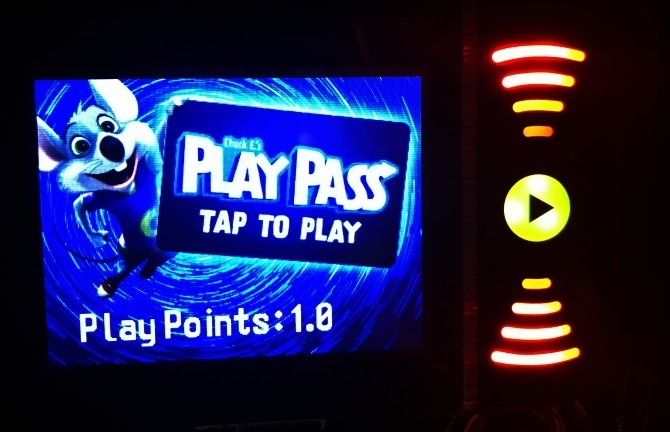 Instead of coin slots, the games all have a touch pad: to play, you simply press your Play Pass up against the pad and your game begins. I like the convenience of the cards, but still missed the whimsy of the tokens. My, how different the world is for Charleston and his peers than it was for me and mine. 11. Attending two kids’ birthday parties in one day is a recipe for disaster. We followed up the Chuck E. Cheese’s party with another birthday party, just a few hours later. Horrible idea. It’s been three days since the parties, and we are still recovering. I won’t go into details, but I wanted to give fair warning to all you other parents out there. No kid should be exposed to that much cake, presents, and fanfare in a single day. 12. Sherlock Holmes was a true pioneer in forensic science. According to Margalit Fox (author of a recent book on Holmes’ creator, Arthur Conan Doyle), the detective work described in the Sherlock Holmes stories was revolutionary for its time. It wasn’t until Holmes modeled practices such as looking for fingerprints and stray hairs that real-life detectives began to implement his strategies in their cases. Another fun Holmes-related fact is that, like his fictional detective, Arthur Conan Doyle received frequent requests to put his own investigative skills to work, and he successfully solved a number of crimes. 13. 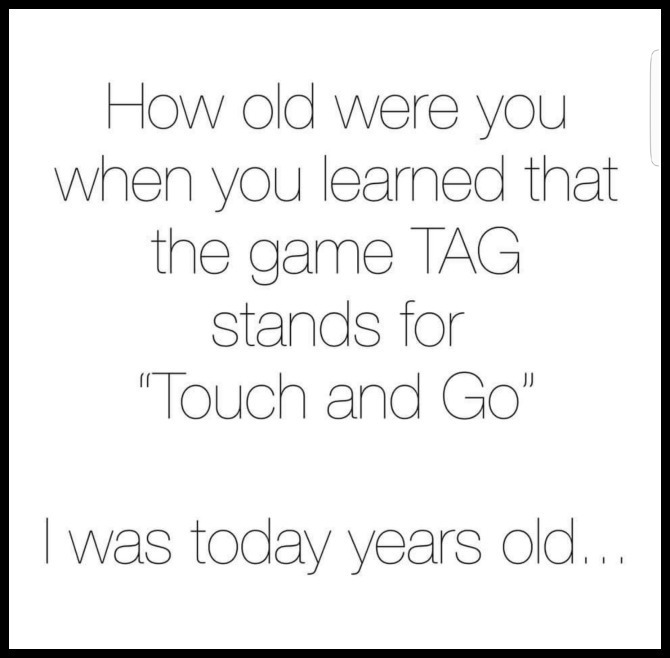 TAG isn’t an obscure name—it’s an acronym. You’ve probably already seen this floating around the internet this month, but it was mind-blowing enough for me to include on this list. I had no idea! I love this quote that I heard on a recent Focus on the Family podcast. 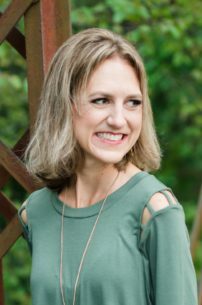 The guest emphasized that children’s brains begin to “set” around age six, so we need to spend those early years focusing on the most important lessons about faith, kindness, and love. This has been a useful mental picture for me to hold onto when I fall into those “why do I even bother” moments in parenting my 3-year-old. 15. The infamous cone of shame is just as rough for humans as it is for the dogs. I mentioned on Monday that we had Arlo neutered a few weeks ago, and it was quite an ordeal. Long story short, he is STILL sporting his cone, and that thing is the worst. 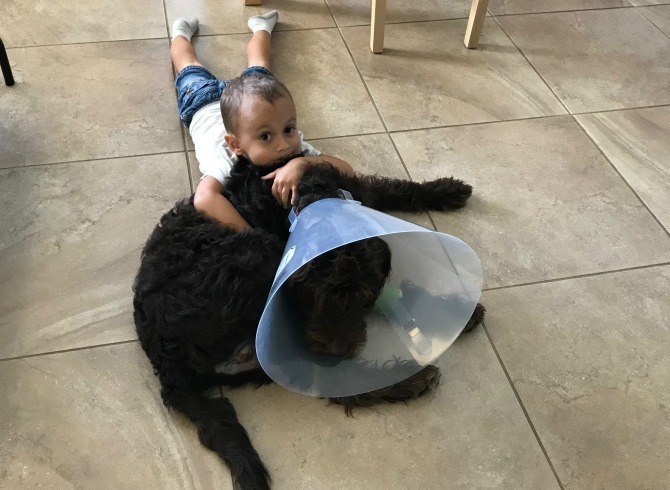 Prior to surgery, I knew that the cone wouldn’t be the most fun for Arlo, but had no idea how brutal it would be for the rest of us whose legs are scratched and bruised from his constantly ramming its sharp edges into us. To make matters worse, he has more energy than usual because his vet doesn’t want us taking him out for walks or outdoor playtime during his recovery, so his jumping problem has been worse than ever. He’s also figured out how to gnaw his cone while wearing it, so we’re constantly trying to redirect him. The only upside (though I doubt Arlo would agree) has been watching him awkwardly navigate our house (and especially his crate) with his monstrous hat—it’s pretty darn hilarious. What is one thing you learned in July? Drop me a comment to let me know about it!